Post subject: Do you clean VHD Discs or Stylus? Just got a General brand VHD player new old stock, having some "issues" with skipping on the first disc I got, does this have something to do with stylus or disc and should one or both be cleaned ever?? Unfortunately I have no knowledge of the VHD, and that's one of the reasons I always stayed away from them. 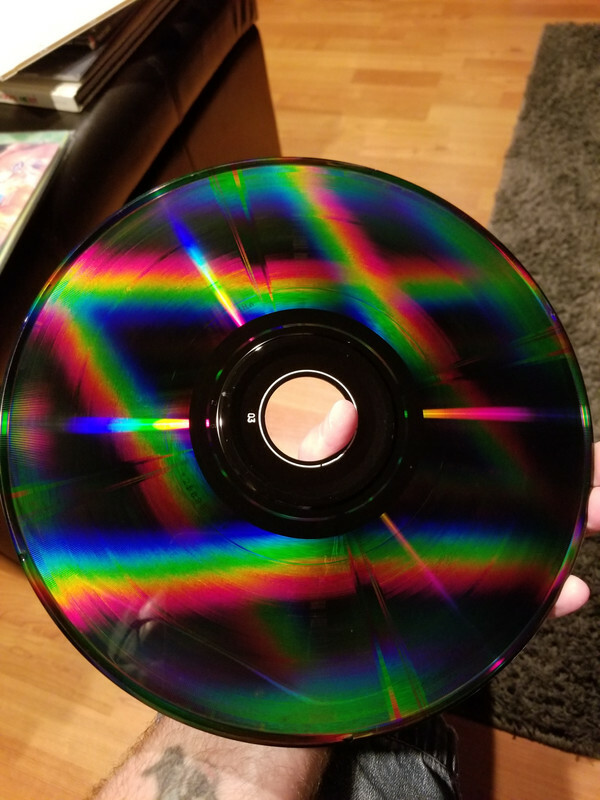 But if they are anything like the CED stuff, I think you can clean the disc with distilled water??? but you can't do any scrubbing like lets say a record. And I don't think you can clean the stylus, the CED stylus has a small diamond or something and that would come off. Double check on the CED forum about cleaning and if its not super valuable I would take a risk and try it. Yeah his page is still up and I read all of it... he said they have no grooves so I'm not sure if they should be treated like CEDs. I thought they did have grooves just smaller than CED?? As far as I know you CANNOT clean a CED and will destroy one if you try. They are covered in lube anyway. If they ran clean they’d be junk before the movie ended. that was very short lived. Sort of like some of the newbs here who get into LDs. Anyway keep us posted on what you do and if it works. I've got more discs coming I'll see if the issue occurs with them. 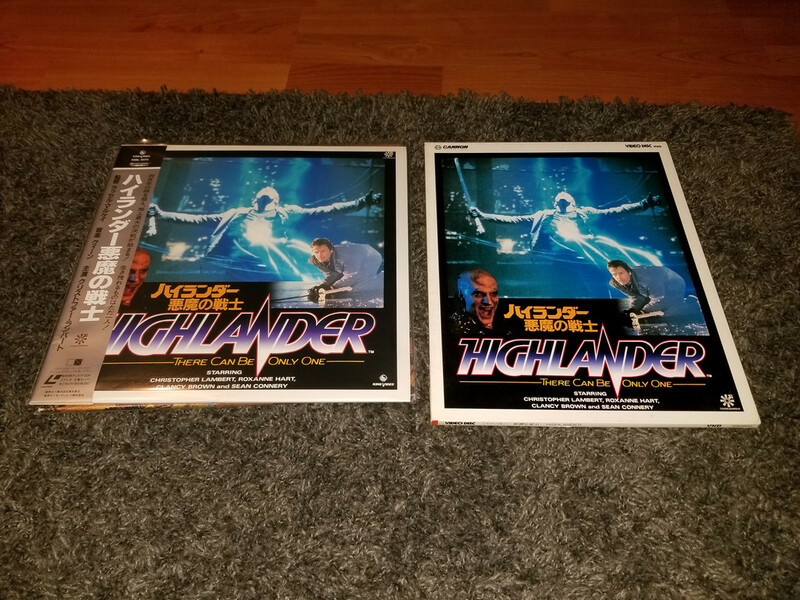 Got some discs in today and watching Highlander with no skipping at all so it must be a disc issue. I wonder if I blow them out with compressed air to clear out any dust would help? Which cut of Highlander is it?? so nothing will come out and damage the stylus. I wonder if these discs are like the CED where you can't stack them and they were stacked? Yeah, I don't own the Japanese version. Since the time is 117min rather than the first USA release of 111min I guess its the EU cut? Can't say I know the difference, I've always watched the 10th Anniversary LD so that's what I'm used to. So the discs I have issues with might just have not been played for a long time? Issues seem to get better after a playthrough. 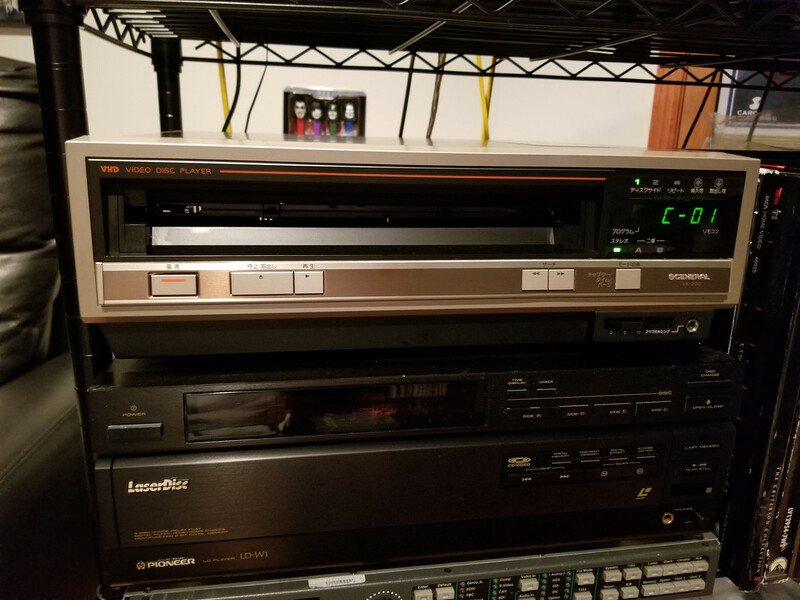 Last time I watched my VHDs it almost seemed like watching an old tape but it was enjoyable though I do wonder if I could clean or replace the stylus. The stylus is definitely replaceable and I opened a player up there is a cloth pad that the stylus runs through which I assume is meant to keep it clean (I think wiping down that pad might be a good idea). The issue I am having is with some specific discs, has to be a way to clean them, maybe just play them once through before watching. Well I got an unplayable Return of the Jedi and I removed it from the caddy then gently brushed with my record brush and blowed with compressed air and it made a huge difference. Any reason I can't use some sort of wet cleaning method like a record cleaning machine? Figured heck with it, I used a Norwex cloth (very fine) that my wife uses to clean glass and made it damp with some distilled water then gently swiped around the disc in light circular motions then blew dry with compressed air. Disc is now playing perfectly without skips (through several scenes that were still skipping after dry brushing). I can only conclude that surface dust is a large part of the issue. Wonder if gruv glide or similar would help? This also makes me wonder about the platter inside the player, is it contaminating the discs as they are being played? Maybe wiping down the platter should be part of the general maintenance routine?